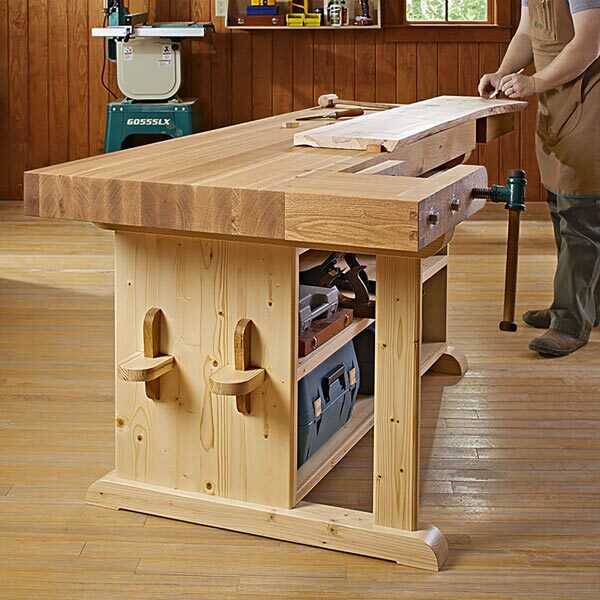 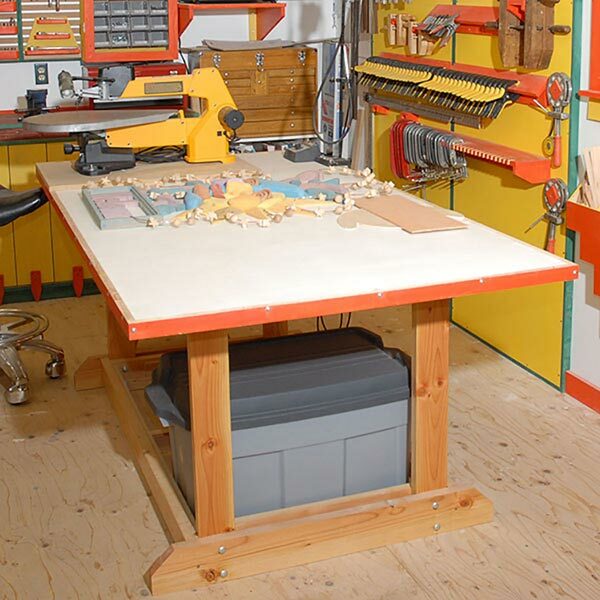 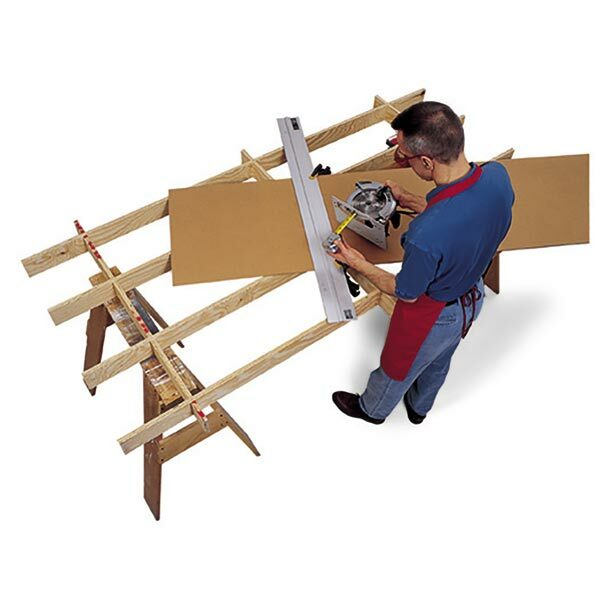 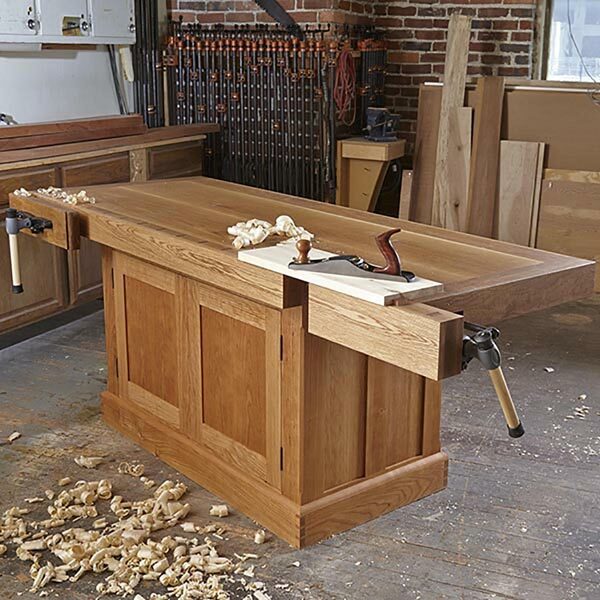 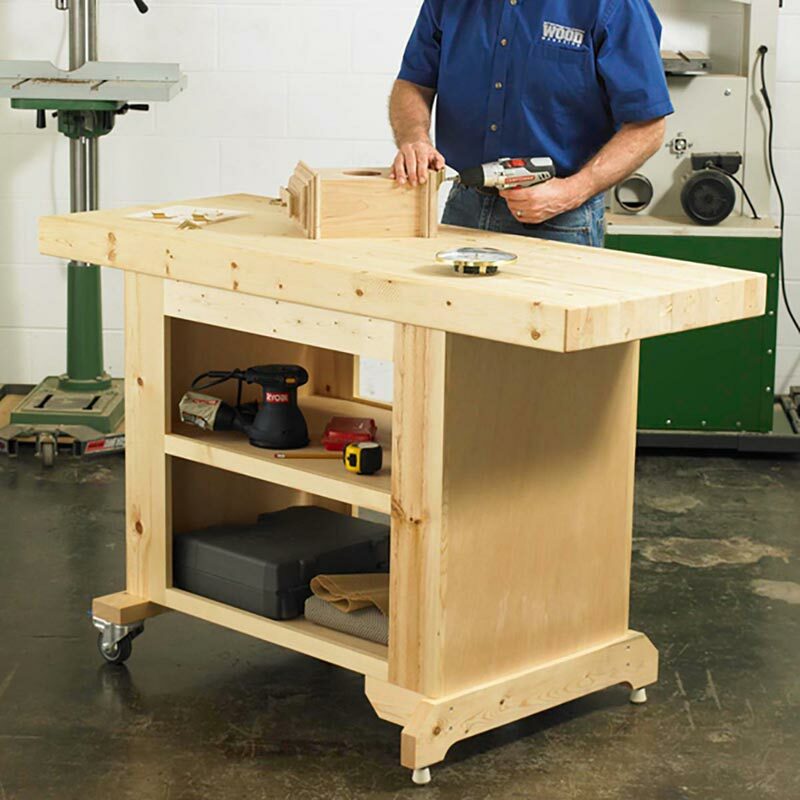 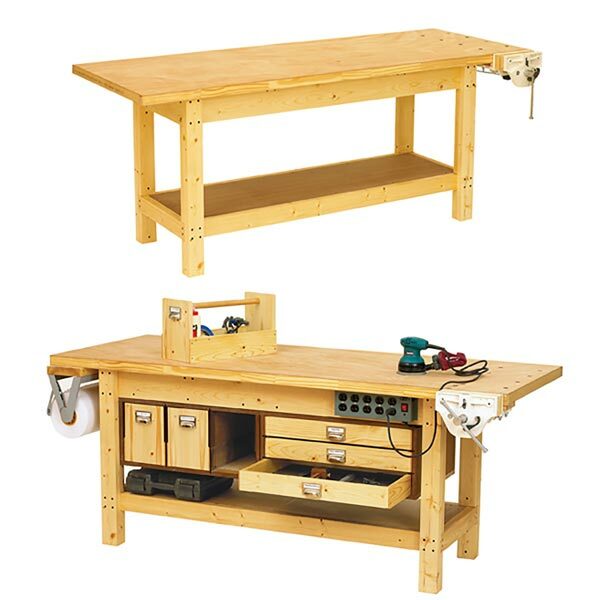 This weekend, build a workbench that's big enough to hold furniture projects, yet portable enough to tuck away. 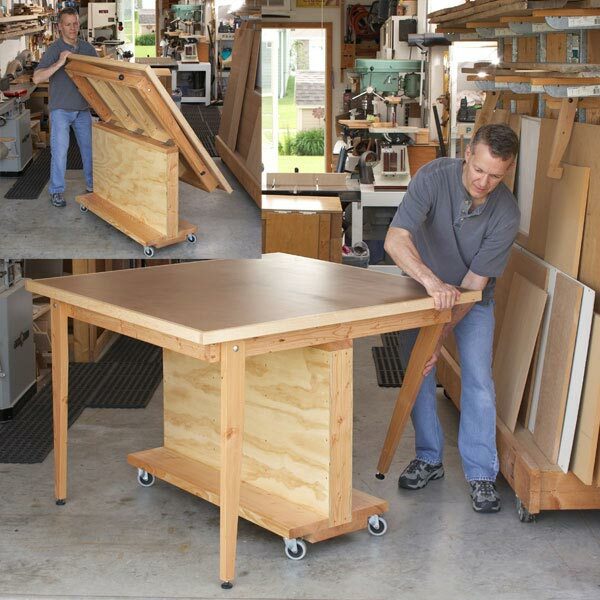 A pair of legs adjust to suit uneven floors, while dual-locking casters keep the other end from budging. 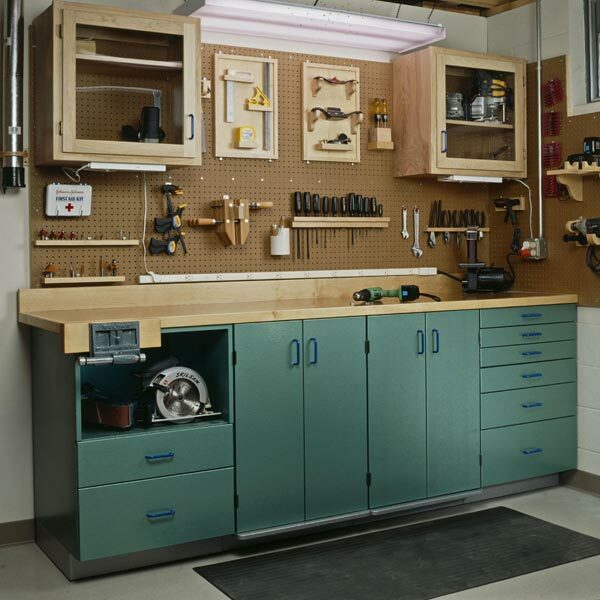 And you can do it all for around $125 in materials and hardware. 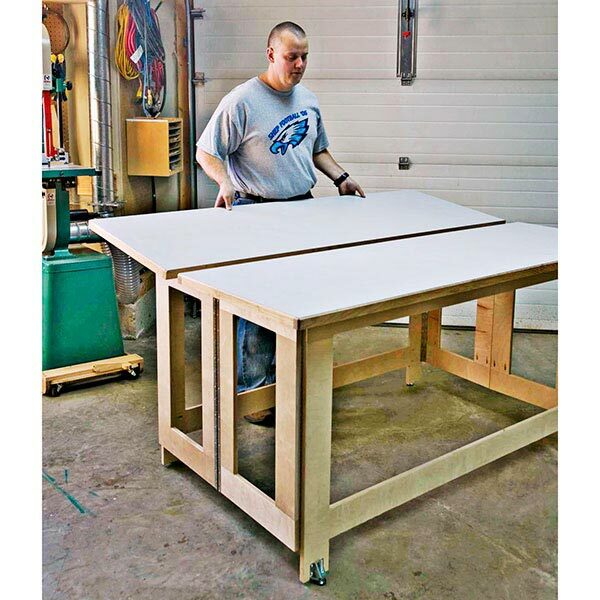 Overall Dimensions are 57" wide by 28" deep by 36" high.